This pink and tan peasant or folk Barbie dress is the perfect gift for girls and collectors alike. The bodice is a vibrant pink with a tan skirt featuring brown and pink butterflies. It has gathered white sleeves edged with lace and a white apron decorated with white trim and tan ribbon across the bottom. 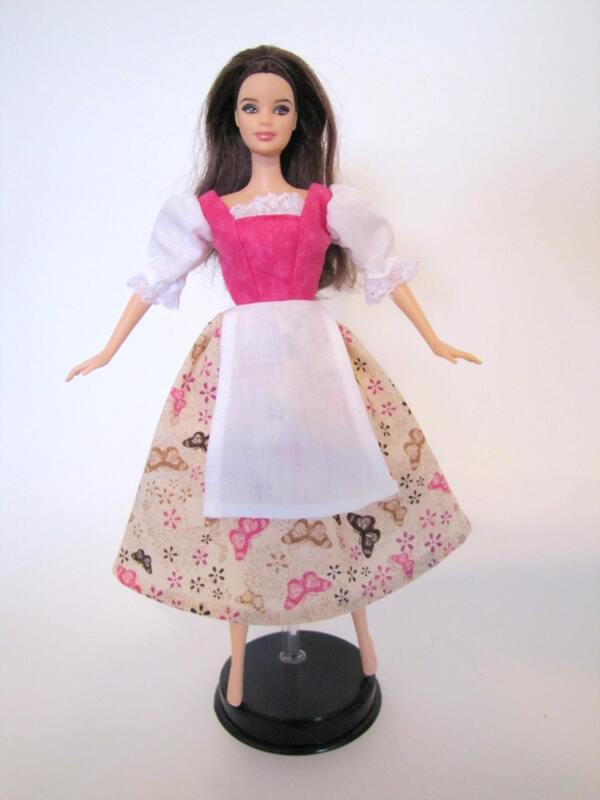 The dress is made for 11 1/2" dolls, like Barbie dolls, and has velcro closure to fit multiple waist sizes. Ships FREE when you buy another Barbie set!